The nodules from plants, mainly leguminous crops, have been studied for more than 100 years; however, the great interest recently developed on either mutualistic or pathogenic plant-microbe interactions has raised this topic at the forefront of microbiological sciences. Plant nodules, not too long ago thought colonized by single-species, are currently known to be complex habitats full of interactions. 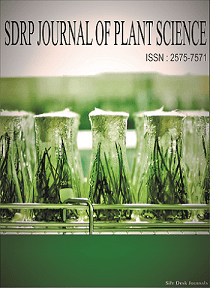 In this Research Topic, we encourage the submission of manuscripts based on the diversity of rhizobia and Frankia strains isolated from plant nodules, but also on other endophytic bacteria found in this habitat and the analysis of their interactions among them and with the plant host. Studies on the molecular dialogue and the genes implicated in colonization, establishment and induction of changes in the host plant will fit well within this Topic. Moreover, we are interested in the biogeographic analysis of bacteria isolated from nodules and their effect over the plants, with special interest in the beneficial interactions that improve plant growth. The study of plant nodule bacteria at molecular level, including genome determination, transcriptomics, proteomics and metabolomics as well as all kind of metagenomic analysis, are also welcome within this Research Topic. Some specific matters in this Topic will also include: the analyses of endophytic bacterial populations in plant nodules, isolation and characterizations of plant-growth promoting bacteria (PGPB) from the inner plant nodules, molecular communications between plants and their nitrogen-fixing nodule bacteria, plant nodule metagenomics biogeography of plant nodule bacteria, genetics, genomics and/or proteomics of bacteria isolated from plant nodules, etc. This Research Topic will incorporate the latest developments and trends on plant nodule bacteria becoming a benchmark for researchers focused on plant-microbe interactions.